An estimated 183 million Americans have credit cards. While people often talk about them in the negative, they can actually be incredibly positive. You’re probably already familiar with the age-old quandary: you can’t get credit unless you already have credit. So how do you get it in the first place? One way to build credit, so that you can buy things like a home or other assets, is to use a credit card. In this article, we’ll go over how to use a credit card to build credit, so that you can make your credit card work for you and not against you. Your credit score is an indication of how much a banking institution can trust you with a line of credit. A bad score shows that you’ve not made the best decisions in the past, or may have had extenuating circumstances that made it difficult for you to pay off whatever loans or credit cards you were given. A credit score typically doesn’t care if you’ve fallen on hard times or you lost your job. It’s simply an objective measure of how well you’ve been able to handle money. Credit scores are measured in triple-digit numbers from 300 to 850. If you have a credit score above 700, this is considered a good score. Most people’s credit scores fall between 600 and 750, which is fair to good. If you score below 600, this means you either have a poor credit history or you don’t have one at all. A poor credit score will affect your ability to take out loans or lines of credit. A variety of things can affect your credit score, but the most obvious way to keep your credit score in the clear is to keep your debt to a minimum. If that’s no longer possible, work on paying it off by setting a budget and creating a plan of action. There are a few ways you can do this. Here, we’ll list some of the key strategies for you to work through. The first way is to get a high-interest credit card. They’re often easy to get and don’t require much of a credit history. In some cases, they’ll also take people with bad credit so that they can help rebuild their credit. Because there’s such a high-interest associated with these types of cards, they’ll take on people who are of higher risk, like those with poor or no credit. But, if you have poor money management skills, this can quickly lead to trouble. Some high-interest credit cards’ APRs can be as much as 25%. This is extremely high and means that if you habitually only pay off the minimum amount each month, you’ll be paying even more than the item or service was originally. A good way to rebuild credit with a high-interest credit card is to purchase items on it that you can already afford. For instance, if you need to buy groceries that week, buy them on the high-interest credit card. Then, transfer how much the groceries cost onto the credit card. With most credit card companies having online services to allow you to manage your banking easily, you can painlessly and instantly transfer the full amount. This way, it reflects well on your credit, showing that you pay off things almost immediately. It also helps you avoid paying interest for items, as you’ll have already paid them off. Although you shouldn’t use your credit card to buy things you can’t afford, using it often will mean that you’ll earn great incentives and rewards. Many credit card companies offer travel perks, money toward restaurants and groceries and even points to spend on online stores. While this won’t necessarily repair your credit, it can help cut expenses in everyday life. And if you can pay off the items immediately, all the better. This way, you can repair your credit score, or start it off in the right foot while getting rewards that can help you in your everyday life. Get more information here to compare some of the incentives different credit cards offer. Remember, go for the one that works best for your life. 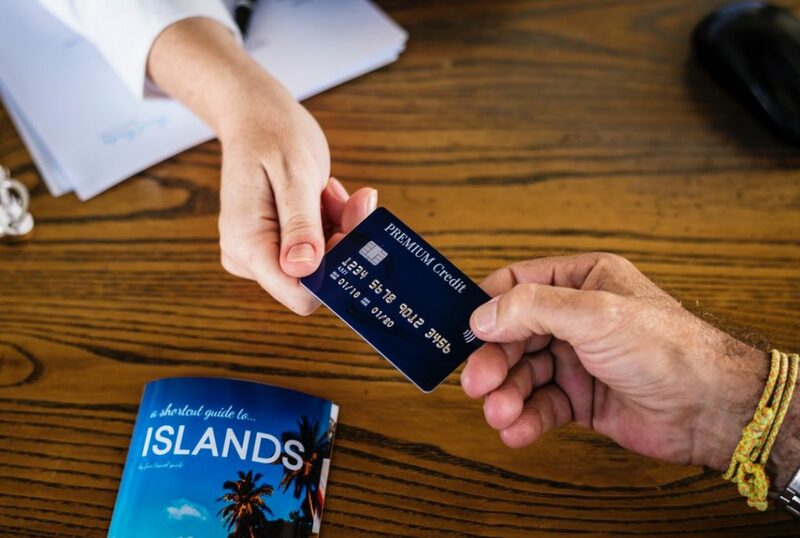 If you don’t travel, it won’t make much sense to get a card that gives you airline miles. Some credit cards will offer you limited time no APR credit transfers. This means if you owe a lot on a credit card, you can transfer it to another card where it won’t gather interest for a set amount of time. This is a great way to help you get out of debt, especially if you have a set goal. With a balance transfer, you can move all of your debt to one central location where it won’t get higher for a set amount of time. Then, you can work on paying off your credit card debt and rebuilding your credit score without the seemingly insurmountable interest that credit card companies charge. We’ve gone over some of the bare bones components of how to use a credit card to build credit. But this list is by no means exhaustive. If you want more information on getting out of debt or building your credit, visit the credit section of our website. We’ve got lots of helpful tips and tricks to get you on your feet for the first time, or back there after making some financial mistakes.